Cut a perfect 90 degree notch out of single-sided "U" channel came every time with this handy tool. Just slip the channel into the slot and push the handle down! 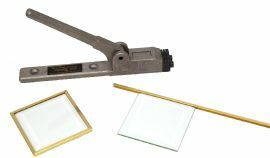 It's a fast and easy way to make edges on stained glass lamps, picture frames, boxes etc. 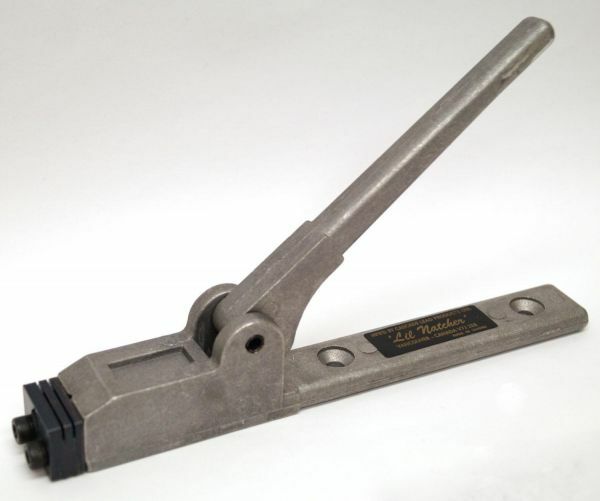 Works with single-sided "U" 1/8" or 5/32" brass, copper and zinc.